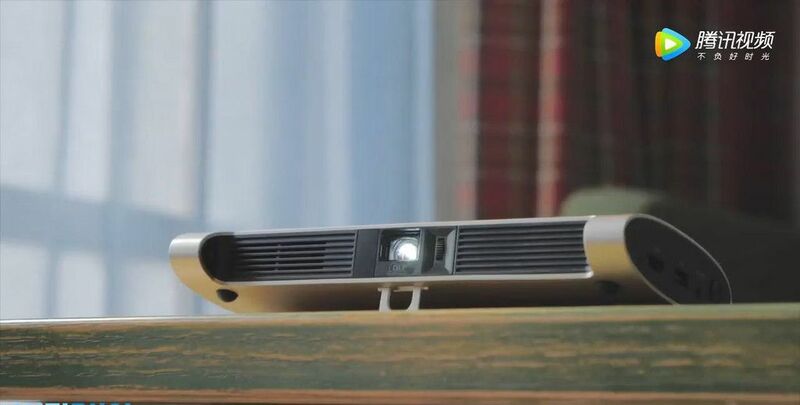 The famous Chinese brand JMGO released new projector with interesting design and some new features. 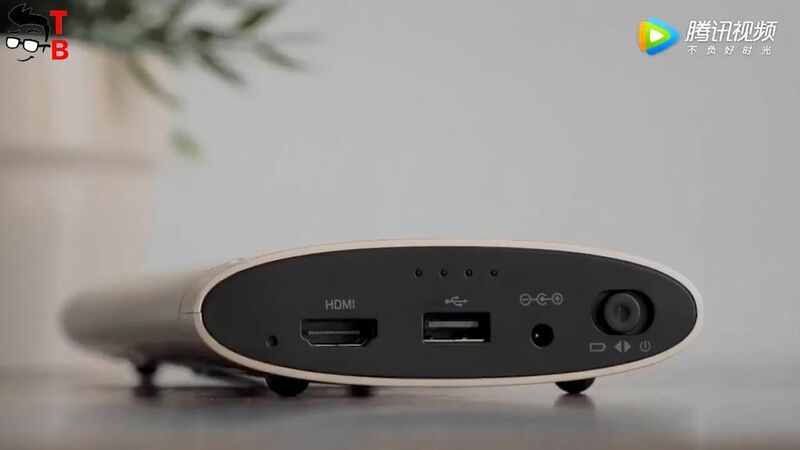 The main feature of new projector called JMGO M6 is unique design. 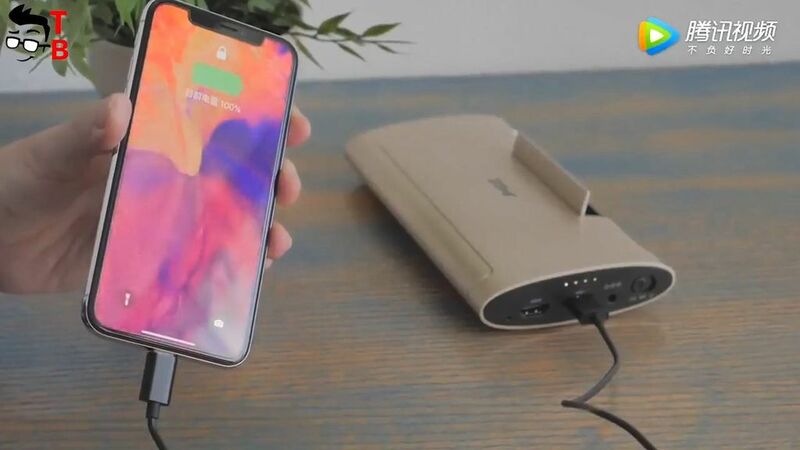 It provides many innovations, such as support for smartphones, microUSB connectors, USB Type-C and dock station for iPhone. Today we have first review of JMGO M6. Later we will try to get new projector for unboxing and detailed test. As I already said, design is a highlight of new projector. JMGO M6 has premium appearance and high built quality. The Chinese manufacturer JMGO is famous for its premium projectors. JMGO M6 has a special magnetic plug on the front panel. 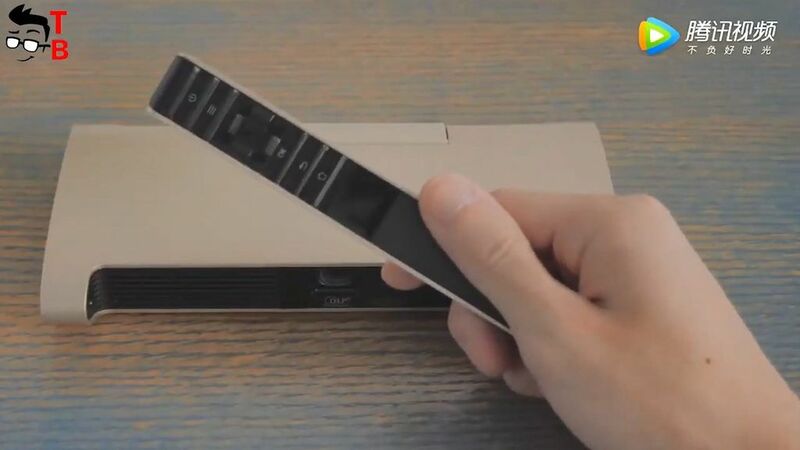 It is used for quick and easy share the content from smartphone to projector. You can connect any mobile device via microUSB, USB Type C or Lightning interface. 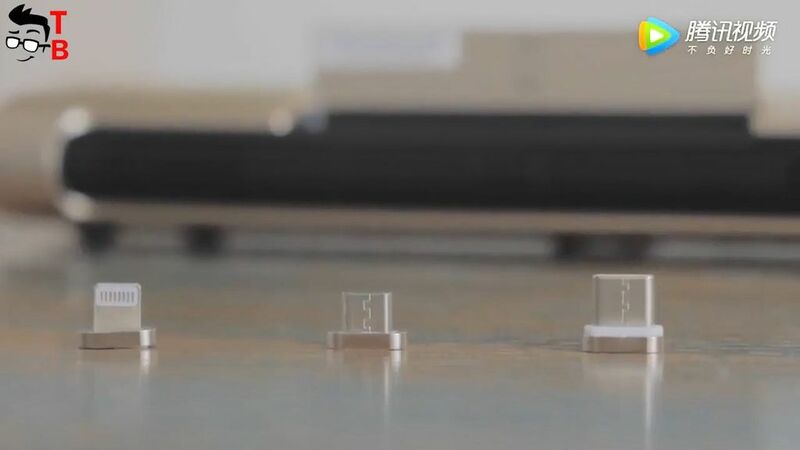 However, the manufacturer notes that right now projector does not support iPhone X and iPhone 8. It promises to solve the problem in future. On the left side you can find other connectors, such as HDMI, USB 2.0, 3.5 mm audio jack and power button. JMGO M6 projector has IR remote control with laser pointer. It can be used for presentations. 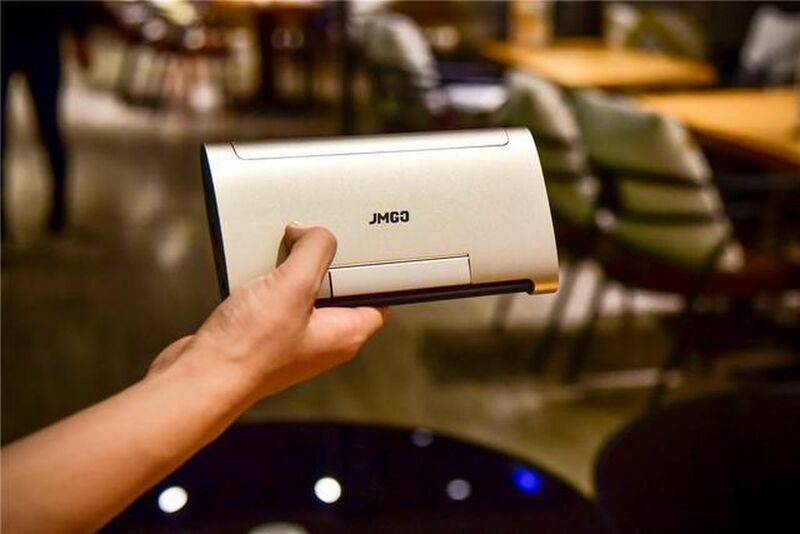 If we talk about specifications, then JMGO M6 is a portable projector with DLP technology. It has a native resolution of 854 × 480 pixels, a brightness of 200 ANSI lumens and a contrast ratio 3000 to 1. The manufacturer is proud of automatic correction of trapezoidal beam shape. 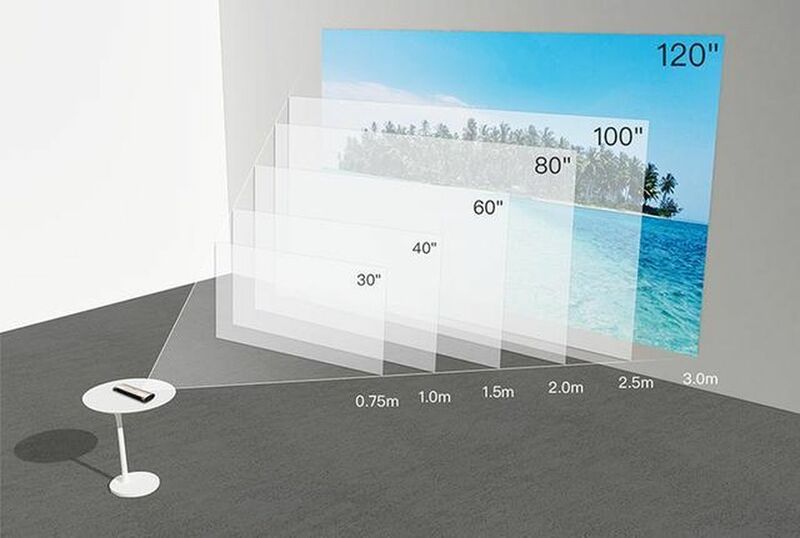 It provides a screen size from 30 to 120 inches with a distance of 0.75 to 3 meters. JMGO M6 is powered by quad core chipset from Mediatek with 1 GB of RAM, 8 GB of internal memory. 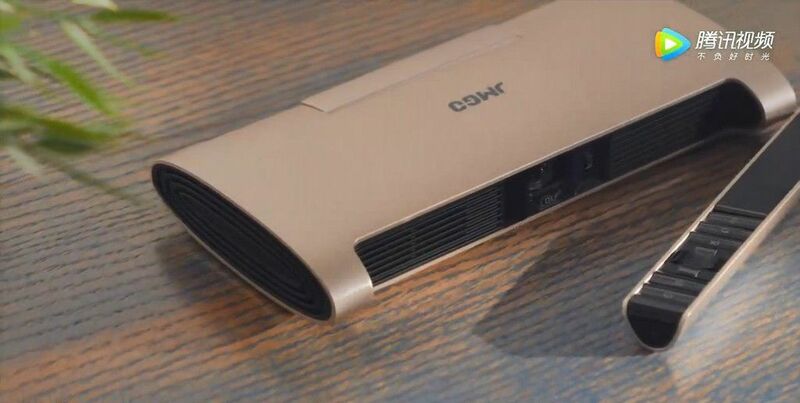 Also new projector supports wireless connections, such as Dual Band WiFi and Bluetooth 4.0. 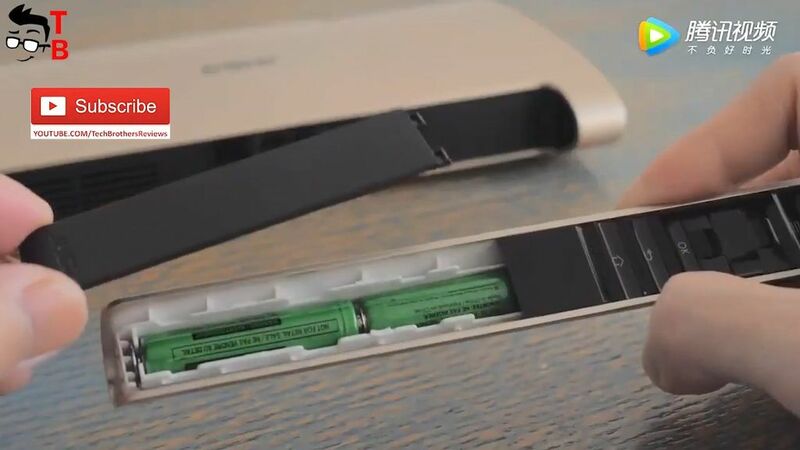 JMGO M6 is equipped with 5400mAh battery that can be used as a Power Bank for smartphones. Operating system – Android 7.0 with proprietary interface. Also I need to mention that projector supports 4K decoding and 3D video format. JMGO M6 projector is already on sale. Its price is about $419. Moreover, you can use coupon to get projector for only $370. Coupon and more details about projector in description under this video. 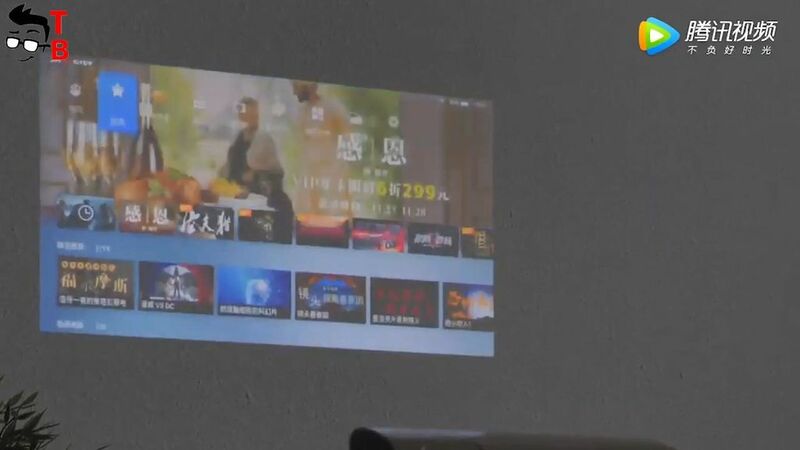 It seems that JMGO M6 is one of the most interesting projectors on the market for the last time. It has very beautiful design, magnetic plug for smartphones, different connectors and of course powerful hardware to play movies. 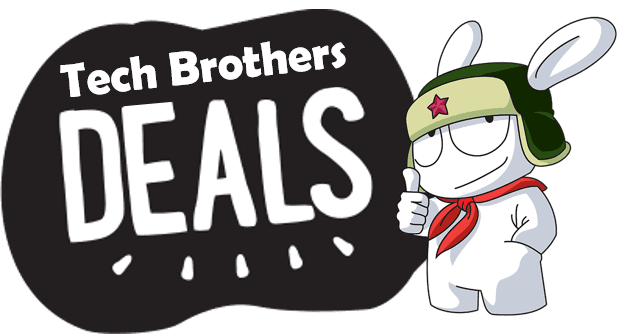 I think it is a good deal.